Not sure it gets any better than this..... Single level, 3 car garage, 4 bedroom, + Den, 3 bathrooms, Dive Pool. Lot Characteristics: Privacy with only 1 neighbor, Corner Lot, Cul de Sac Lot, across the street from a park with tot lot playground & a full size basketball court, & lastly another park directly behind the home! Home features by the Original Owners, newly remodeled master bathroom, hard surface floors in all the right places, gorgeous kitchen that offers slate appliances (gas stove) with granite countertops & dark cabinets, kitchen island, great room floorplan with fireplace, 2 bedrooms split floor plan, and too much to list. 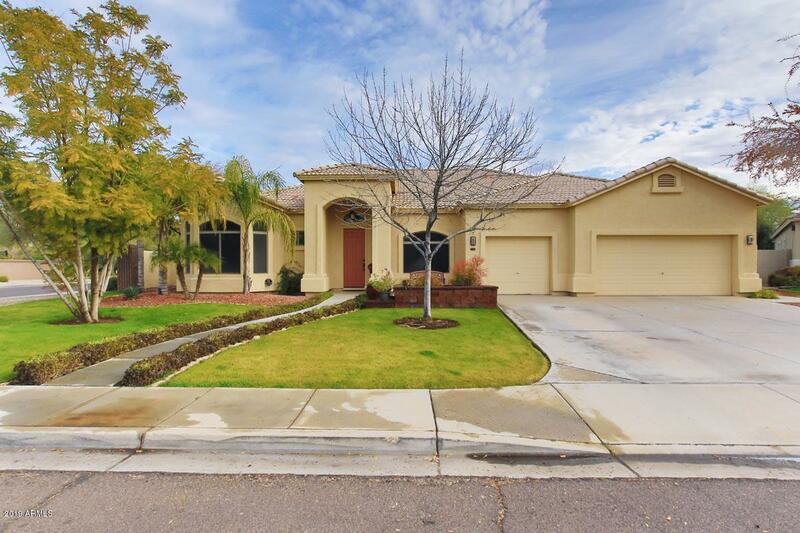 The location of this home is amazing: San Tan Village Mall, Chandler Crossroads, Rivulon, tons of fantastic restaurants, & incredible Gilbert Schools! !